Thorne Digital Media Group, Inc. is a full service Media Production and Web Design Company specializing in CMS, CRM and intranet systems. From tying Atlas into Avotus for large corporate entities to full featured Ecommerce Website Design, 100% uptime Website Hosting, and Internet Marketing, television and print ad concept design as well as special effects, CGI and 3D animation. We provide much more than just Website Design for our client businesses, organizations and non-profits. Based in New York's Flatiron District, Thorne Digital Media Group, Inc. has created thousands of websites for businesses and global organizations worldwide. 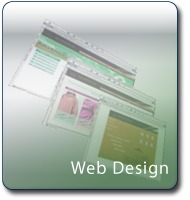 Our New York Website Design services are utilized by some of the world's largest and most recognized organizations. Our web design department has a strong & proven background from some of the country's top design schools and agencies. We start your website development by applying proven SEO techniques first and then integrate our secure, state of the art infaCORE CMS/CRM/Bulk Email system. Creativity, both technological and artistic are necessary to quickly and effectively market your brand and/or services across multiple mediums. Thorne Digital Media Group, Inc. has developed thousands of commercial websites for large corporations, global organizations and non-profits across the country and around the world. Our web design company's new media department provides a full service experience so you can focus on what you do best. We specialize in everything an organization or business needs to succeed online, on TV and in print. From Web Design to affordable marketing services. Let Thorne Digital Media Group, Inc. of New York be your media partner. Call Toll Free (888) 341-3707 today for your online marketing, web design, web development, video production or CGI/Animation and special effects needs.